The U.S. Food and Drug Administration (FDA) has given 510(k) clearance for a new premium digital radiography-fluroscopy system, the ProxiDiagnost N90, from Philips Healthcare. This two-in-one system provides low-dose, high quality images while supporting fast workflow, and increasing room utilization with increased patient throughput. The ProxiDiagnost N90 incorporates premium flat detector technology to provide high quality images. New dynamic UNIQUE image processing produces stable sequences and are harmonized from the first frame to the end. This capability eliminates the need for several frames to produce a usable image and make a confident diagnosis. It features the Philips Eleva user interface. The system’s design has a small footprint and an open overhead area and table, thus enabling radiologic technologists or caregivers of pediatric and elderly patients to be closer to the patient. The company states that its Grid-Controlled Fluoroscopy (GCF) enables a dose rate reduction up to 68% compared to pulse controlled fluoroscopy (PCF), depending on patient type and clinical application. This feature is particularly beneficial for pediatric examinations. 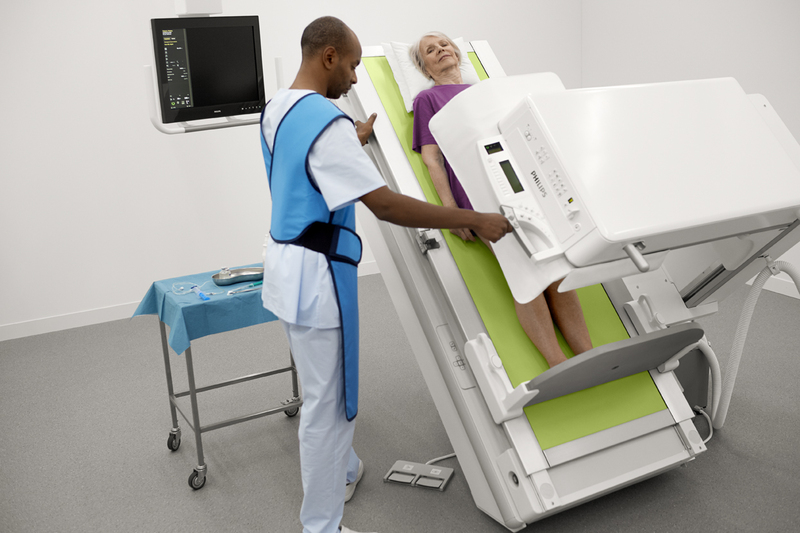 Philips receives FDA clearance for new digital radiography/fluoroscopy system. Appl Radiol.